We are liquidating our current stock of inkjet cartridges and laser jet toners. These products can be picked up in Belleville Ontario or we can ship with-in Canada. Shipping not included. Pre-payment only. Save BIG on your printer toners! We carry one of the largest selections of Brand Name and Remanufactured Laserjet Toners, Copier Toners, MICR Toners, Printer Drums, Printer Accessories and more. All in-stock products ship for next day delivery. Contact us with your printer model or cartridges number and we’ll send you our price right away! Our customers tell us they save 10 – 55% versus their current big box prices. Comments Off on Save BIG on your printer toners! If you’re looking for an easy-to-use, economical color inkjet all-in-one that won’t waste valuable workspace, the Brother™ Work Smart™ Series MFC-J450DW may be exactly what you need. In addition to its budget-friendly purchase price, it offers a lower total cost of operation thanks to high-yield replacement ink cartridges‡ and paper-saving duplex printing. Features like an automatic document feeder, mobile device printing‡ and free Brother Cloud Apps‡ make this all-in-one an excellent choice for your home/home office. Easy Wireless Setup. Easy to setup wireless (802.11b/g/n) networking. Web Connect. Access popular web services, such as FACEBOOK™ PICASA Web Albums™ FLICKR®, GOOGLE DRIVE™, EVERNOTE®, DROPBOX, BOX and SKYDRIVE®. Versatile Scanning. Capabilities to scan using a variety of formats including JPEG, TIFF and PDF to E-mail, media cards, OCR and more. Convenient for use in popular applications. Front Loading Ink Cartridges. 4-cartridge ink system allows you to only change the ink you need. Standard and High Yield Ink Cartridges. Standard and High Yield ink cartridges make it economical to maintain. Warranty. 1 year limited warranty and free phone support for the life of your product. Our products are now available to the local retail public at Plug n Play Land! We are very happy to announce our partnership with Plug n Play Land in downtown Belleville. Plug n Play Land will be offering our full line-up of Printers and Supplies including: Inkjet cartridges, Laserjet Toner, Copier Toner available in both OEM/ New and Remanufactured brands. They will be carrying our full line-up of brand name MICR toners, printer ribbons, ink sticks, printers, extended warranties, printer accessories, printer maintenance kits and more! In addition Plug n Play Land will also be carrying our quality line of Hammermill copy paper. Industry leading products, better than big box prices all at your local retailer Plug n Play Land in the heart of downtown Belleville. Contact them today for all your printer and printer supply needs jim@plugnplayland.com! Comments Off on Our products are now available to the local retail public at Plug n Play Land! Lexmark International Inc., Lexmark, is announcing price changes to select service parts. These changes affect both the Manufacturer’s Suggested Retail Price (MSRP) and the Distributor/Reseller Price. With the most recent announcement of another price increase from Brother and Hewlett Packard on their Ink and Toner supplies it’s making in-house printing costs eat up a larger portion of your monthly office expenses and eat away at your bottom line. We offer a full-line of quality Re-manufactured printer cartridges for most major brands including Brother, Canon, Dell, Epson, Hewlett Packard, Lexmark, Xerox and more. Our products offer OEM quality and page counts as well a savings of up to 60% over Brand Name cartridges. Our customers say they save an average of 20-40% switching to our Re-manufactured printer cartridges and are very happy with the quality. Not only will you save money but you will also be helping the environment by using our Re-manufactured Laserjet and Copier toners. We offer a wide range of Brand Name, Re-manufactured Laserjet toner, Copier toner, Drums, MICR toner, Ink sticks, Printer Ribbons, Printers, Printer Warranty’s, Maintenance kits and more. We offer next day delivery throughout Ontario Canada. We care about saving the environment and keeping money in your wallet. In this article, we cover some ways that you may be able to reduce the consumption of ink or toner and thus further reduce your printing costs. Since you are getting this newsletter, you have already most likely saved a good amount by purchasing your ink/toner supplies through us but there are other ways that you can stretch your dollar and make that cartridge last longer. If you have an inkjet printer you may be able to reduce the amount of ink it uses for normal and every-day printing by switching your printer to use “Draft” mode. Inkjet printers produce output by moving the print cartridge along the page and spraying ink dots to create the printing. In “Normal” mode, which is what most printers are configured with, the print cartridge makes multiple passes over the same area and sprays multiple coats of ink to make the characters bolder. In “Draft” mode, the printer makes a single pass and moves to the next line. This creates characters which are not as bold, but may still be acceptable for everyday printing. Because the printer does not lay multiple layers of ink on the same space less ink is being used to print your document. You can always switch later to “Normal” or “Best” mode when you need that extra special touch. Just like the “Draft” mode on an inkjet printer, laser printers have “Resolution” a setting. At lower resolutions less toner particles are used to create the image. As a result, the printed output may be not as dark as it may be at higher resolutions. If your printer is currently set to use resolution of 600 or 1200 DPI, try changing it to use 300 DPI. Not only will you use less toner, but your printer will print faster. In general, color cartridges cost more to run than monochrome (black). Therefore, if you are printing a document which has no color you would think that the printer would just use the black cartridge, but this may not always be the case. The color used in the document could appear black to you, however, could slightly be off-black. When this happens, your printer tries to use the combination of black and color cartridges to match the color your computer is sending it. If you are printing something that should be black, tell your printer to print everything in black and white or gray-scale. This will tell your printer to not worry about matching exact color and just use the black cartridge for your entire document. Even though you may tell your printer to only use black, most HP and Canon laser printers continue to use color cartridges anyway. This will slow down the usage of the color cartridges but not stop them completely in these printers. So, while having a color laser printer is great for when you really need to print something in color, buying a low cost black and white only printer is the better option since you would not need to use your color printer at all when only printing black. Do you even need a color cartridge? Some HP inkjet printers are able to print black-only even if the color cartridge is out. So ignore that message that your color cartridge is out of ink, tell your printer to print in black or gray-scale only and save money by not having to purchase a color cartridge. If your HP ink jet printer refuses to print with an empty color cartridge, take the color cartridge out. The printer may complain, but will most likely print just fine. This applies only to HP ink jet printers which use a two (black/color) cartridge printing system. Most laser printers have a feature that can automatically reduce the amount of toner which is being used while still keeping a reasonable quality output. Turn on the Toner Save feature for your printer and watch those savings roll in. 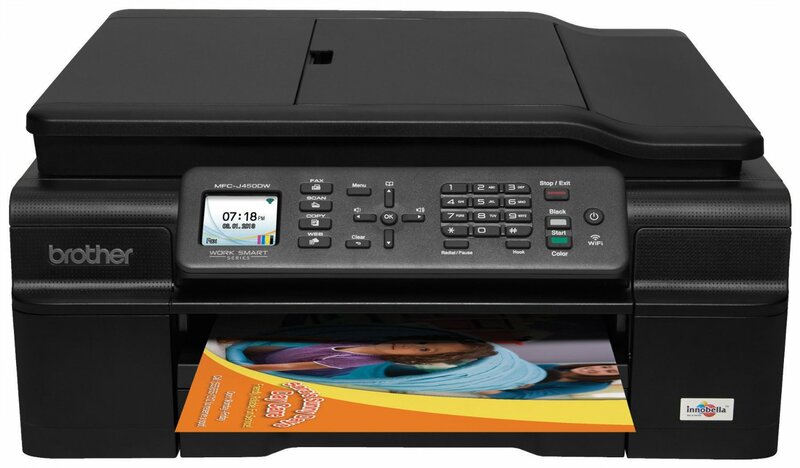 If you have a multi-function (print/scan/fax) machine you may be able to reduce toner/ink usage by reducing the density of your copied documents. The copies may look a little lighter, but may work just as well. Remember, as the toner cartridge wears out you may need to increase the copy density for acceptable output. Some laser printer have density settings although they are not scanning or copying documents. Playing with these settings will make your printing lighter but will save you toner in the long run. For most printers cartridges come in various capacities. Designations such as economy, standard, moderate or XL may indicate the amount of ink in the cartridge. If you are printing a lot of documents frequently try to get an XL version of the cartridge that will work with your printer. If you are an infrequent user stock with economy or standard sizes. Overall, the cost to print using an XL cartridge is less as you frequently get 2x or 3x the ink than the standard cartridge for a fraction of the price more. However, as ink dries out, most manufacturers recommend that you use up a printer cartridge within 6 months or sooner after opening it. If you are an infrequent user of your printer, your XL cartridge may dry out before you have a chance to exhaust all ink in it. If you suspect that your ink cartridge has dried out, bring it by our store for a complimentary cleaning. A European company called Ecofont (www.econfont.eu) created a font which has small holes in the letters. By using this font, you can reduce your ink or toner usage by up to 25%. In the simplest case, you simply download a free font and use it in your documents. For a more advanced user, you can download their professional package which converts any document to an ecofont equivalent on the fly as you print. Start by downloading and testing their font by using it directly in your documents. If you are happy with the results check out their professional version. If you are using a laser printer you may notice that the printer does some whirling before and after every printed document. If you are printing a single page the printer goes through a start-up cycle, prints the page, and then goes through the slow-down cycle. The additional time and turning incurred during the start-up and slow-down cycles can greatly wear out the components inside your toner cartridge causing to lighter printing and increases the likelihood of developing defects. While no printing is occurring, the components in your printer and cartridge spin just as if something was being printed. In addition, toner continues to accumulate on the drum even though there is no printing. 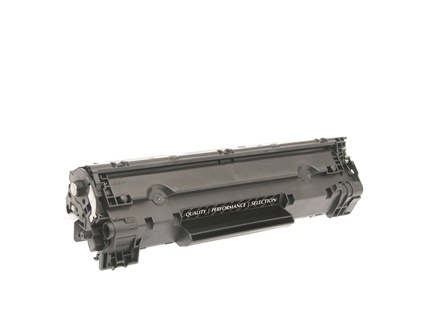 This extra toner is swept into the waste-bin of the cartridge, reducing the supply of toner available for printing. Of course, if you only need to print a single page, there is no way around this issue. However if you are printing a document with many pages and you notice that your printer keeps stopping and re-starting during the output of the document (meaning that your computer is not keeping up with the printer), there is an opportunity to reduce stop/start cycles. This could occur if you are printing documents from your accounting software for the year end taxes. The computer may need to crunch numbers before the page is ready for printing. To reduce stop/start cycles use the Printer Properties | Advanced tab and tell the computer to start printing after the last page is spooled. Typically this setting is set to start printing immediately to improve user experience and reduce the perceived wait. When you change this setting, your document will start printing when the computer is done generating the entire document, so there will be an initial delay between the time you start your print job and the time the print job starts printing on the printer. This setting will reduce the number of times your printer needs to stop and wait for the computer to generate more pages. Most of the printer settings mentioned above can be found in your printer driver. Before pressing OK on your print dialog choose to edit “Printer Properties” or “Printer Settings”. This will alter the print settings for the document you are currently printing. Once you found the settings you like, you can make them your permanent default settings by altering the printing properties from the Control Panel on Windows machines or general printer settings on a MAC. If you have any further questions contact us sales@gtprinting.ca. If you’re printing photo’s from your own computer, using quality photo paper and canvas can make the difference when creating nice images and vibrant colours. Whether you’re a full-time photographer or printing photo’s at home for the first time we have the perfect photo paper for any project. We carry a large selection on photo paper and canvas for Brother, Canon, Epson, Hewlett Packard, Lexmark printers and more. We have provided a brief overview on the different types of photo paper and canvas we offer. Take a minute and research which quality of paper will best suit your needs. Create photographs that look like the professionals produce with glossy paper. Fast drying and smudge-free and acid free and gives you quality results quickly. For photos that jump off the page and look like they came from a photo studio, matte photo paper is a good choice. This paper is fade resistant and allows for sharp images and bright colours. The end result is a photograph that looks like something you would pay to have created. Getting the best photographs possible is easy with wide format photo paper. This photo paper provides the same vibrant colours as those you might get from a photo lab. The wide paper allows you to take the photos closer to the edge and get the best results. Borderless photo paper lets you get the best quality photographs from your own printer. This paper option allows you to produce photographs that have no boarder, giving them a more professional appearance. The paper is water resistant and high gloss to produce lifelike results. Send us your printer model or photo paper model number you are currently using and we’ll send you our price right away sales@gtprinting.ca. To our loyal customers and social media followers we would like to thank you for your continued support. To show our appreciation we are introducing FREE Shipping Fridays! receives FREE shipping on in-stock orders. No minimum order required and there’s no catch. Orders must be emailed (sales@gtprinting.ca) between 9am – 4pm on Friday’s using our code SHIPFREEFRIDAY. Orders throughout most of the Quinte and Quinte West area are delivered by the owners of the business. To our customers outside the Quinte area your orders will be delivered by a national courier service. TELL YOUR CO-WORKERS, TELL YOUR FAMILY, TELL EVERYONE! FREE Shipping Fridays at GT Printing and Electronics. **Monday to Thursday we charge $5.00 plus HST for all orders under $150 before tax.